Food Truck Frenzy: How Are Those Mobile Food Vendors Measuring Up? For many bigger towns and cities in Connecticut, the number of licensed mobile food vendors is growing every year! So how do they measure up? How safe are the working conditions and, more importantly, the food you’re eating? NBC Connecticut Troubleshooter Jill Konopka has been digging through inspection reports for weeks. “I could tell by looking at their truck that it's very clean,” he said. “I’ve only had it once and I’m back, so that should say it all," he said. Dave Lanese, of the Waterbury Health Department, has been a sanitarian since 2006, and he and three other sanitarians in the city inspect mobile food vendors randomly at least three times a year. “That’s why we do inspections unannounced, because if you give them any degree and they know you're coming, they could prepare for it, and you want to see what it’s like when you’re not there,” Lanese told the Troubleshooters. Last month, Lanese randomly inspected two trucks. Immediately he came across water troubles at Los Garcia Mexican Fusion. Lanese told the employees, “Oh no, turn it on again, see if it works. You gotta’ try and get this water running over here." Inspectors follow their cities’ guidelines, along with a state health department checklist. They’re evaluating for food source and protection, personnel, cleanliness, equipment and water supply. Lanese told the employees, “You can’t continue unless you get this going, cuz’ then you can’t wash your hands." They are also measuring for proper hot and cold food temperatures too. Before the inspection ended, the water supply started working again. But that wasn’t enough. Vendors must earn 80 points to pass. “Once you get one four-point violations, you fail," Lanese said. "One for not having water, one for not being able to wash their hands, and the other one for improper hot holding temperature," Lanese told the Troubleshooters. If the temperature of cooked hot food isn’t 140-degree, than you have pathogenic organisms in the food, and that’s what you don’t want, Lanese added. “People can feel safe about this, because they don’t even give you notice, they just show up and you have to be prepared,” he said. Across the street at Hugo’s, there were limited problems. It took Lanese just a couple minutes to sign off here. Hugo’s earned a score of 97 out of 100. The only things they need to fix are getting a digital thermometer and fixing the exhaust fan. 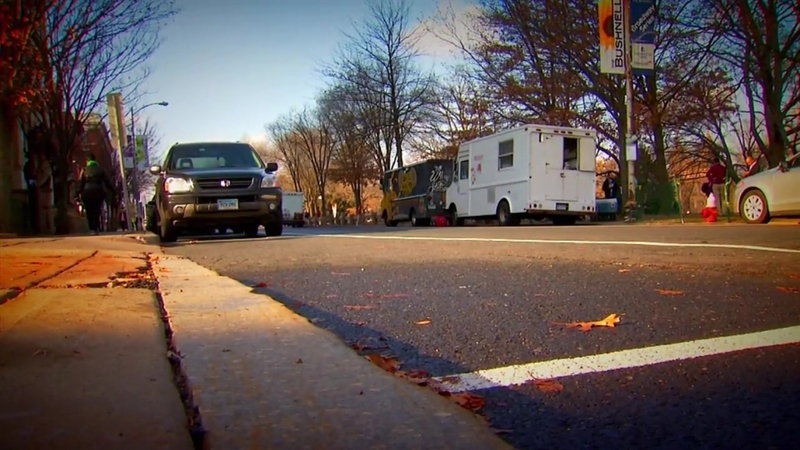 The Troubleshooters poured through thousands of pages of food truck and mobile cart inspection reports dating back to 2014 in Waterbury, Hartford and New Haven. The biggest offender in this two-year time frame, according to the Troubleshooters data, is Ixtapa Mexican Tacos, earning 14 violations on two separate occasions in late 2014. “The reason we had issues was because of the refrigerator we were using at the time. We had to buy a new refrigeration system. In addition, we switched out our food trucks,” the owner told the Troubleshooters. New Haven sanitarians inspect the majority of licensed trucks several times a year. In Hartford, the reports show inspectors stopped by food trucks unannounced mostly once, sometimes twice, per year. And #14 (4 violations total) clean outer clothes, effective hair restraints. So bite on this advice, next time you hit up your favorite food trucks, do your own inspecting like this doctor who likes food trucks. “I look for cleanliness, always peek in the back and look at everyone’s hands and fingernails, that kind of thing,” Koorse said. That Waterbury sanitarian returned to Los Garcia a couple weeks later and he’s happy to report, the truck passed inspection with flying colors. In order to maintain an itinerant food license, every mobile food operator must pass an annual renewal inspection conducted by the Department of Health and Human Services and city’s Fire Marshal. Annual mobile food licenses are not issued until itinerant food operators are able to demonstrate that their units and personnel meet pertinent health and safety standards, such as the ability to control the temperature of potentially hazardous foods, having appropriate equipment for food service and fire suppression. In the past four years, HHS has increased activity with mobile vendors and focused on food handling education. Identification of vendors’ bases of operation has also been a priority.